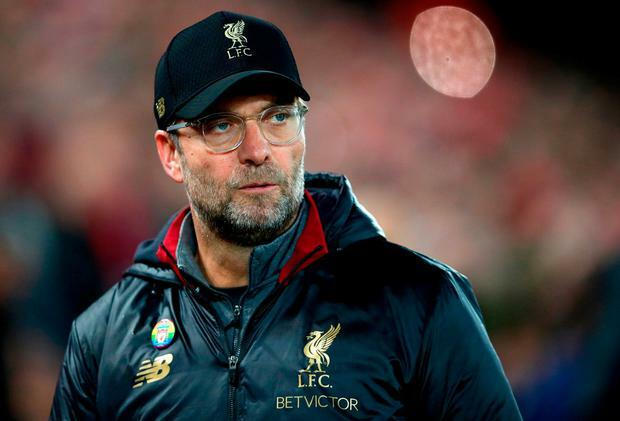 Liverpool boss Jurgen Klopp has accepted his Football Association misconduct charge for running onto the pitch in celebration of Divock Origi's late winner in the Merseyside derby. A stoppage-time mistake from Everton goalkeeper Jordan Pickford at Anfield on Sunday allowed substitute Origi to head in a last-gasp goal that earned Liverpool a 1-0 win. Klopp raced towards his players, hugging keeper Alisson Becker, and was on Monday charged with misconduct by the FA. “It’s absolutely OK, to be honest,” the manager said at his pre-Burnley press conference. “I couldn’t avoid it obviously, but if everybody did it every week, that’s what the rules are for and if you break the rules you have to be fined for it. I have no problem with that. I think that’s completely normal. He added: “I didn’t want to do it. I can now say it will not happen again because I didn’t have it on my radar that it was possible for me still. It was really long ago that it happened last time. “In that moment it was very special and it happened.